Moist, flavorful, and simple strawberry yogurt muffins with yogurt, fresh strawberries, and a simple vanilla glaze. 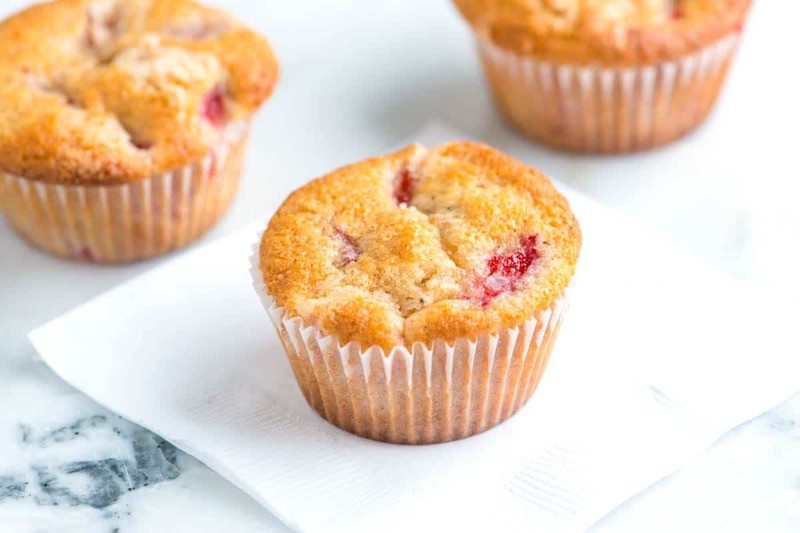 Jump to the Simple Strawberry Yogurt Muffins Recipe or read on to see our tips for making them. 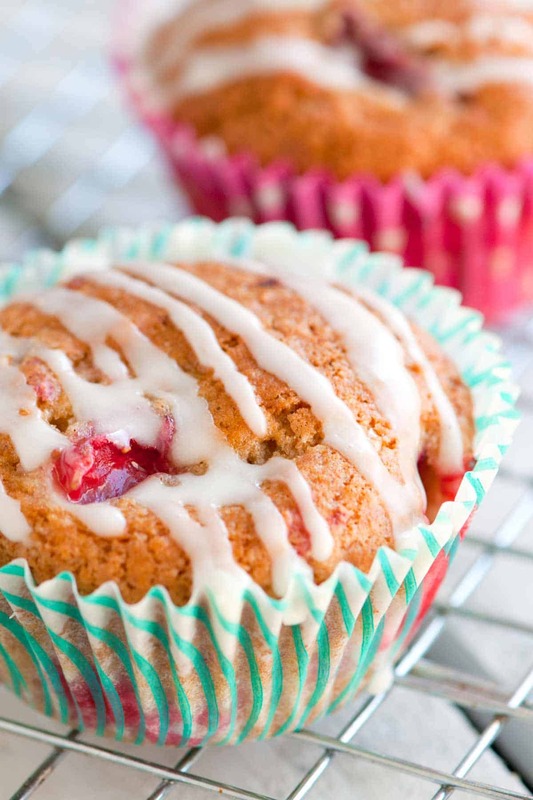 These Strawberry Muffins are perfect for breakfast, mid-morning or an afternoon snack. They’re packed with strawberries and for extra flavor we used strawberry yogurt instead of boring vanilla or plain. 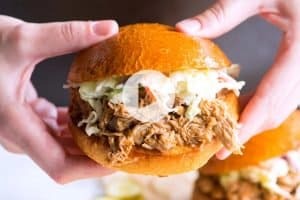 These come together really quickly and don’t require any fancy equipment. Just a couple bowls, a whisk and a spoon. 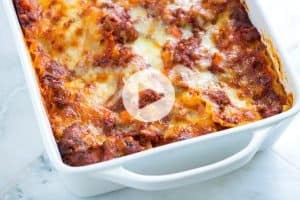 YOU MAY ALSO LIKE: How to make the best zucchini bread with a lightly spiced, perfectly sweetened batter with a whole pound of grated zucchini mixed in. 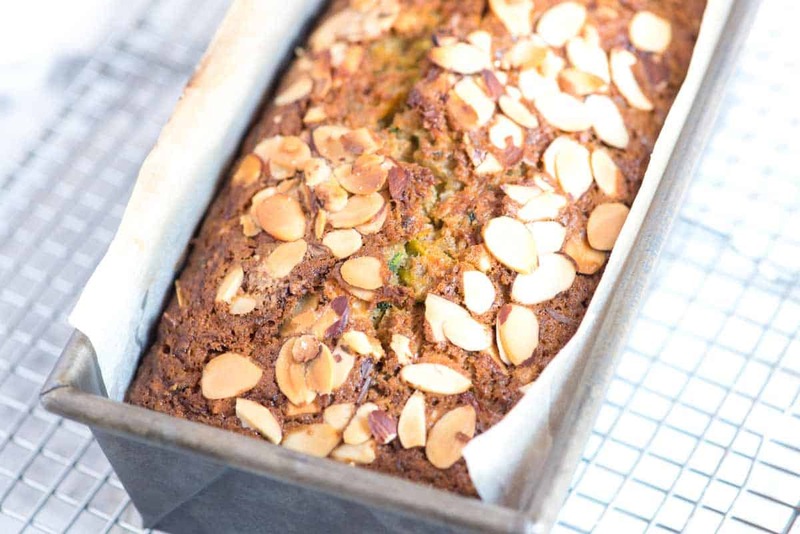 Jump to the Easy Zucchini Bread Recipe. 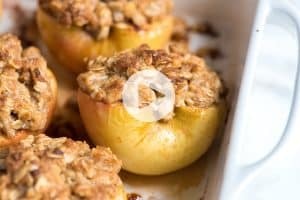 These muffins come together quickly and require few ingredients. Start by combining flour, sugar, baking powder, baking soda, cinnamon, and salt. In another bowl, combine strawberry yogurt with an egg and melted butter. 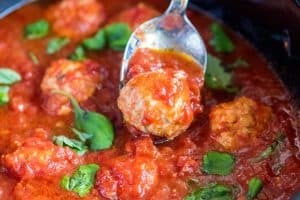 Combine the wet ingredients with the dry, and then add lots of fresh strawberries. When you make muffins, remember this: mix dry ingredients as much as you want, mix wet ingredients as much as you want but, when you put the two together only mix until they combine. If you over mix, the muffins will be heavy and flat. 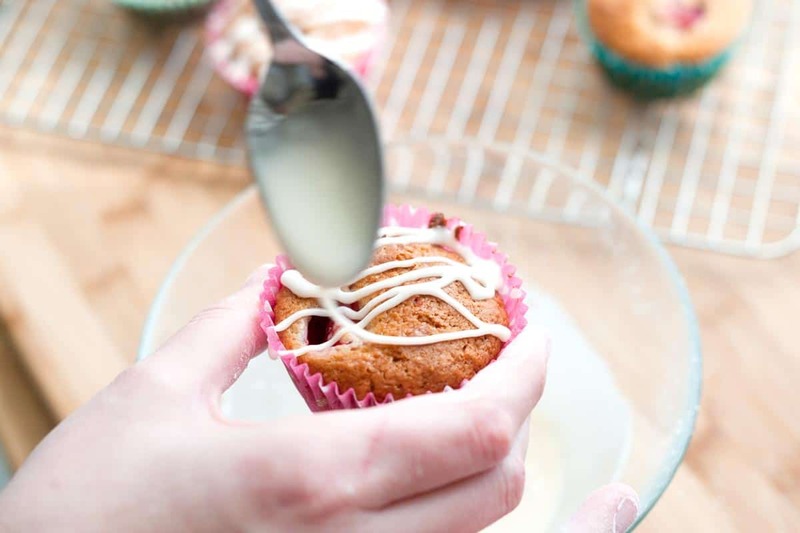 Once the strawberry muffins have cooled, we make a quick vanilla glaze to drizzle over the tops. 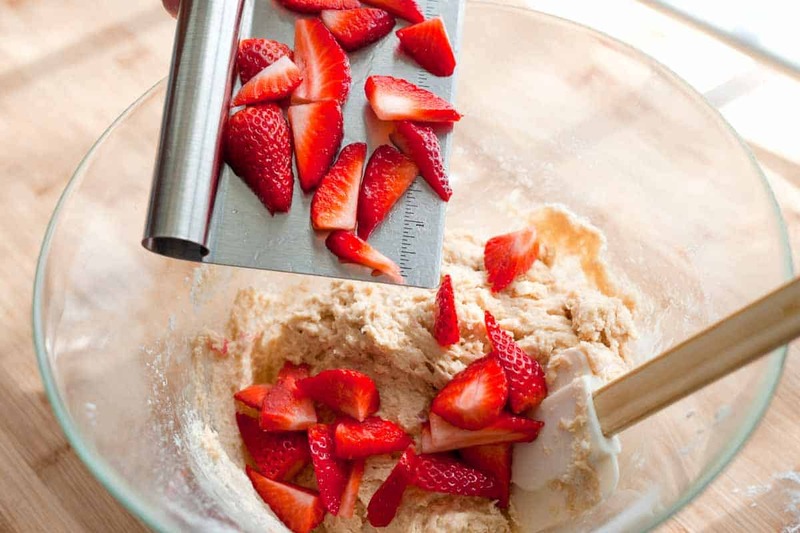 YOU MAY ALSO LIKE: How to make perfect strawberry muffins with a lightly spiced batter and fresh strawberries. 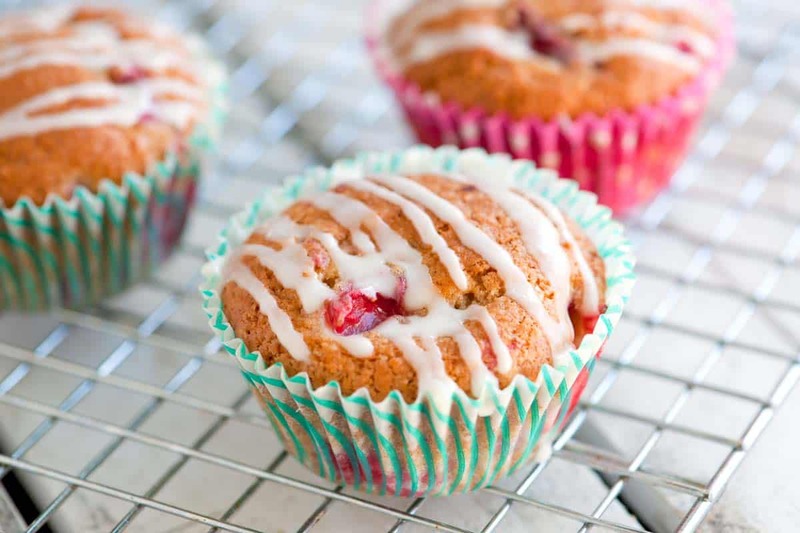 Jump to the Strawberry Muffins Recipe. These were nice 🙂 Only made 9 larger muffins though. Only had half the required amount of strawberries. Used wild-berry drinking yogurt, and 2/3 of the sugar. Didn’t have butter, so I used a mix of coconut oil and sunflower oil. Turned out sweet and moist. Didn’t need any glaze. Think I will add frozen blueberries and almonds next time 🙂 Baked in muffin tray on 200 Celsius Hot Air oven for 20 min.